Built in 2016/2017, this property includes a spacious one level home on over 1/2 acre lot. 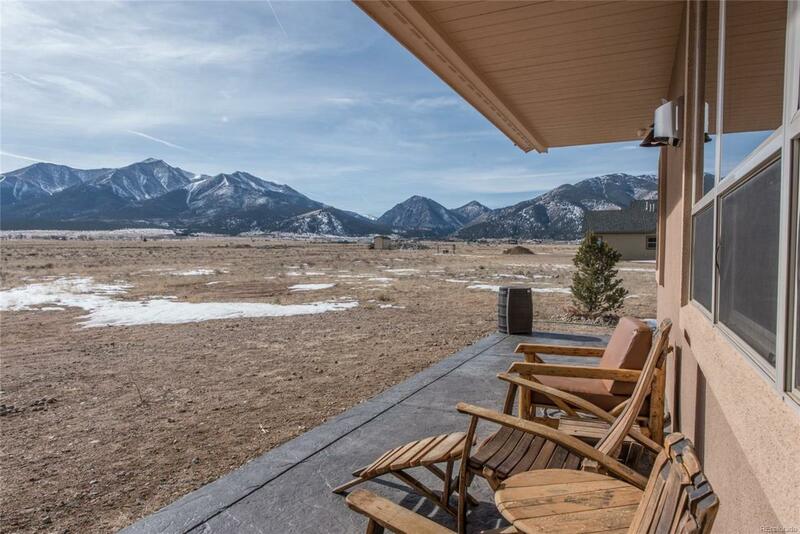 Located less than 1.5 miles from downtown Buena Vista and the Arkansas River, with beautiful mountain views from every room, this is a property you will want to see. A split floor plan, with the master suite on one side and the remaining three bedrooms on the other side, your privacy is insured. Open concept makes for easy conversation in the kitchen/dining/living areas. Stucco exterior, designer front door and stampcrete create a first class exterior to match the beautiful and modern interior. Lots of extras including solid doors throughout, knotty hickory cabinets and bamboo flooring. There is a built-up RV parking with electric hook-up and a utility sink in garage. This property can be used as a vacation rental or a private residence. Furniture is negotiable upon contract acceptance. The value is here--come see this property today!